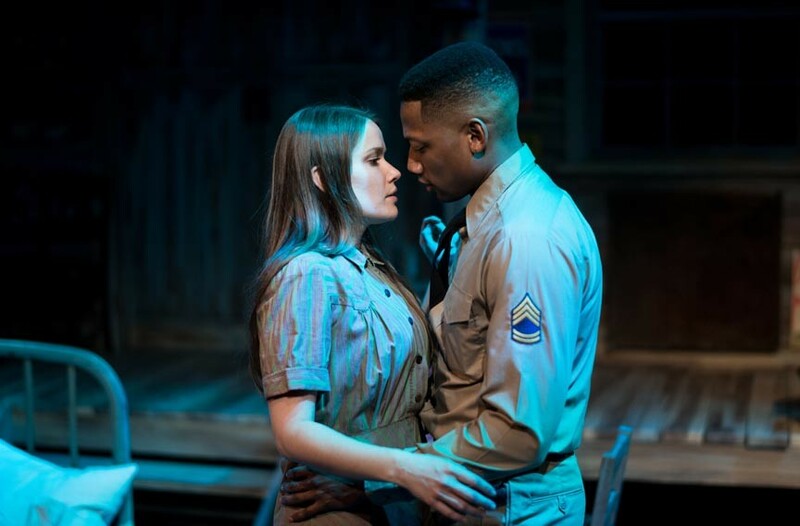 Theater Review: Cadence Theatre Company's "Violet" | Theater | Style Weekly - Richmond, VA local news, arts, and events. The charming Christie Jackson as Violet and the scene-stealing Josh Marin as Flick in “Violet,” a musical that features strong vocal performances all-around. In the small North Carolina town of Spruce Pine in 1964, a young woman mounts a Greyhound bus headed for Tulsa, Oklahoma, and the television evangelist she believes will heal the hideous scar on her face. 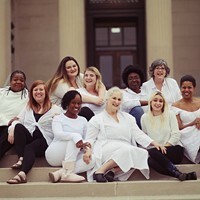 Richmond’s “Acts of Faith” festival continues with Cadence Theater Company’s production of “Violet,” a one-act musical based on Doris Betts’ short story “The Ugliest Pilgrim.” And it’s lovely from top to bottom. From the moment the lights drop and the onstage band begins to play, audiences are transported into Violet’s world and mind with a musical about one woman’s interior journey. The story is occasionally predictable, but with Chase Kniffen’s direction and an amazing, versatile ensemble, it’s well worth going along for the ride. Every actor is perfectly cast and the vocal performances are strong all around, with some lovely harmonizing and vocal layering. Christie Jackson is instantly charming as Violet, and Josh Marin steals every scene as Flick, a young soldier she meets on the bus. Other standout performances include Sophie Bunnel as young Violet and Robyn O’Neill, who slips seamlessly between her roles as a sweet but nosy old lady and a world-weary hotel prostitute. 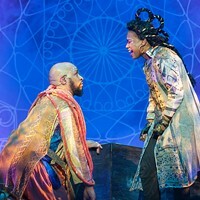 Because the story is told through Violet’s encounters on her journey, with heavy use of flashback, this play relies on smart staging and lighting cues to delineate time and space, something the production does exceptionally well. Actors occupy all possible spaces, including the aisles and multiple levels onstage, thanks to Rich Mason’s versatile scenic design. Gregg Hillmar’s lighting design signals every jump from present to past and, sometimes, an overlapping of the two. In one scene, Violet falls asleep and in her dreams she sees her young self interact with people she meets on the bus. Pink lights, musical cues and smart use of the stage make the scene look and feel like a dream -- a surreal one-off from the world of the story. Kim Fox’s musical direction is the heart of this production, and there are strong vocal performances all around. The gospel number -- and Karla Brown’s performance in particular -- is the musical highlight of the show. Lovers of musical theater shouldn’t miss this show. 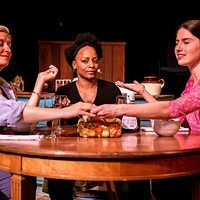 “Violet” is unusually cerebral for a musical, but Cadence Theatre Company’s production brings Violet’s feelings, memories and heart to life in a way that feels effortless. 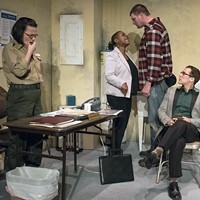 Cadence Theatre Company’s “Violet” runs until March 11 at Theatre Gym. Tickets are $35. cadencetheatre.org.